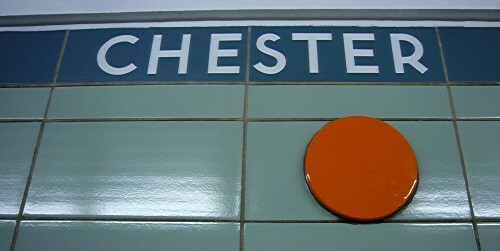 I complain a lot that TTC doesn’t know how good its type and tiles are. 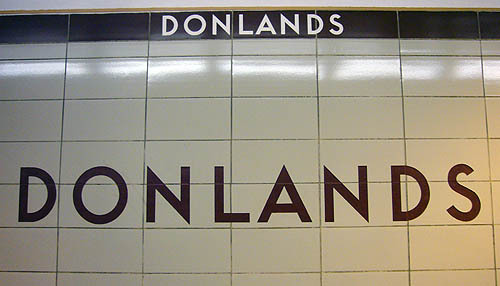 But last week (roughly November 12–16, 2007), late most nights I saw paint crews touching up Donlands station. 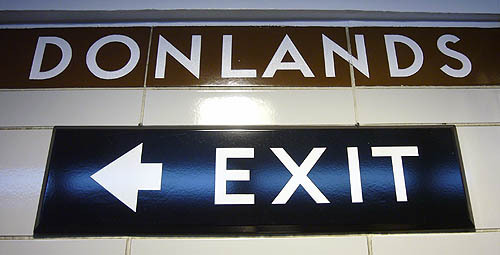 Zooming back and forth on the subway that week, I realized they were carefully painting the brown sandblasted letterforms in the tile and the white sandblasted letterforms in the strapline. 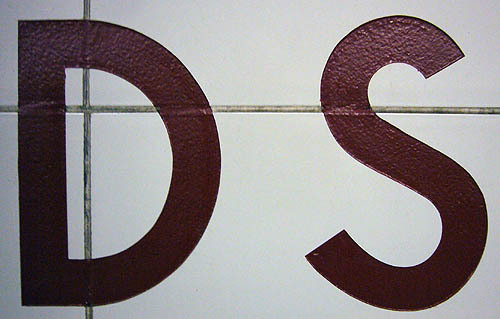 The photo above shows that they overshot the letterforms in the strapline. I guess they cleaned it up afterward, because the finished result is perfect. It seems they can take care of what they’ve got – if they put their minds to it. ...in the last week of November ’07.